Quotations about Actual Experience. Quotes to stimulate mind and drive action! Use the words and quote images to feed your brain inspiring things daily! 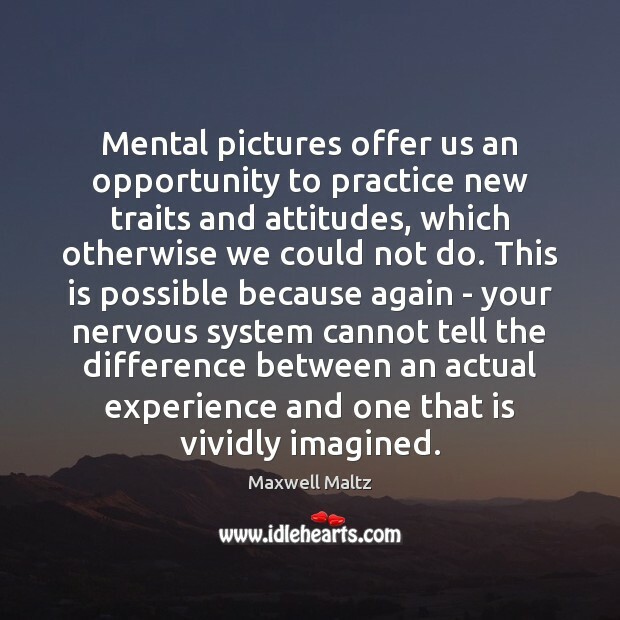 Mental pictures offer us an opportunity to practice new traits and attitudes, which otherwise we could not do. This is possible because again - your nervous system cannot tell the difference between an actual experience and one that is vividly imagined. 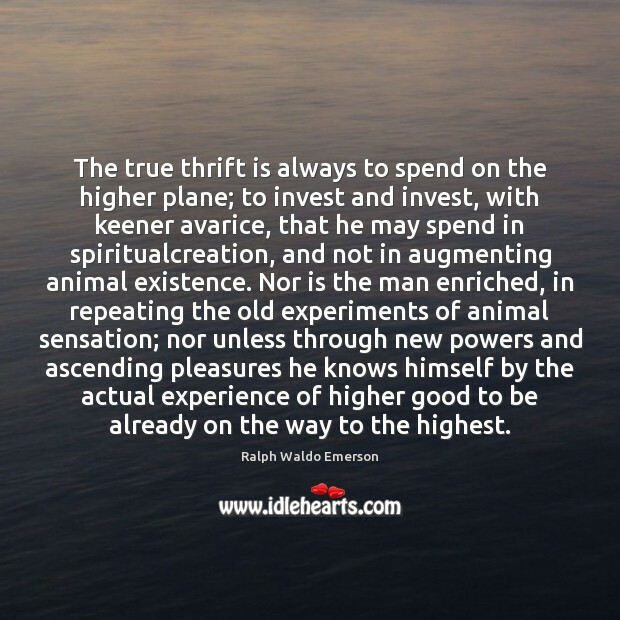 The true thrift is always to spend on the higher plane; to invest and invest, with keener avarice, that he may spend in spiritualcreation, and not in augmenting animal existence. Nor is the man enriched, in repeating the old experiments of animal sensation; nor unless through new powers and ascending pleasures he knows himself by the actual experience of higher good to be already on the way to the highest. 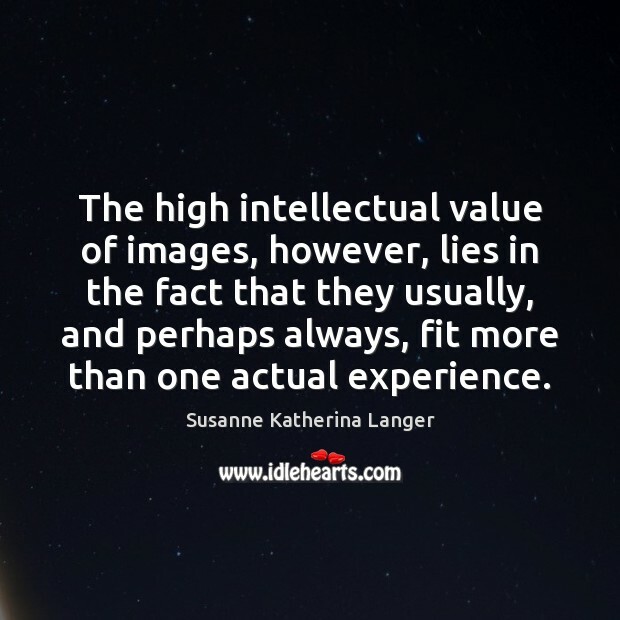 The high intellectual value of images, however, lies in the fact that they usually, and perhaps always, fit more than one actual experience. 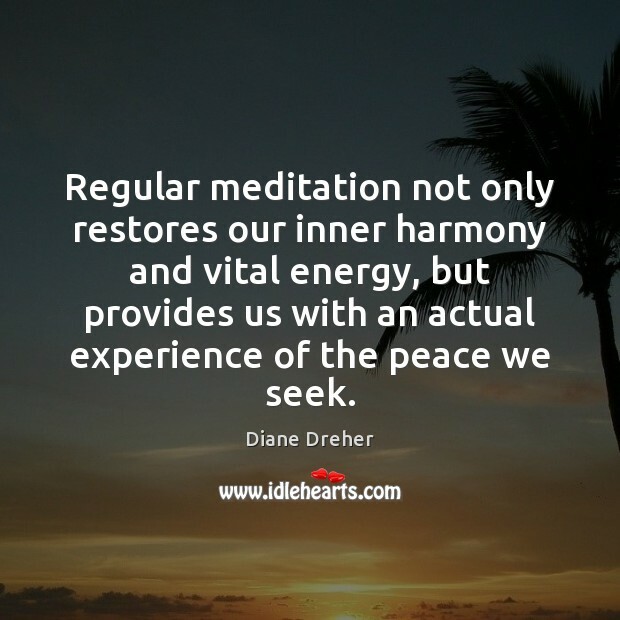 Regular meditation not only restores our inner harmony and vital energy, but provides us with an actual experience of the peace we seek. 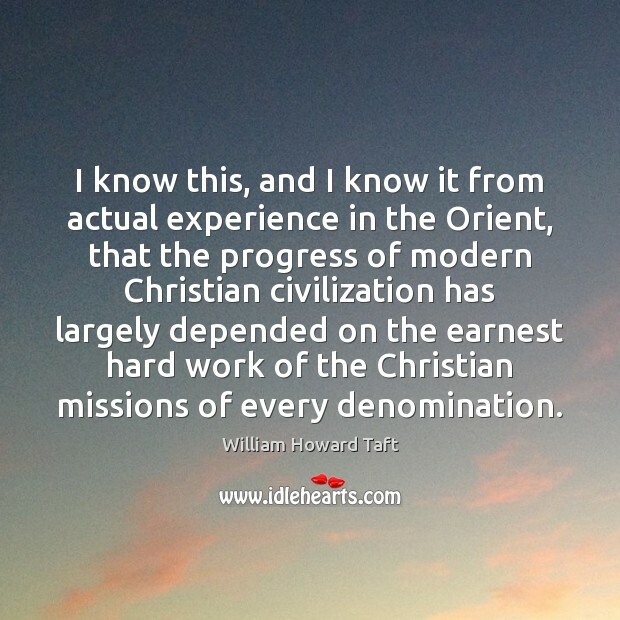 I know this, and I know it from actual experience in the Orient, that the progress of modern Christian civilization has largely depended on the earnest hard work of the Christian missions of every denomination. 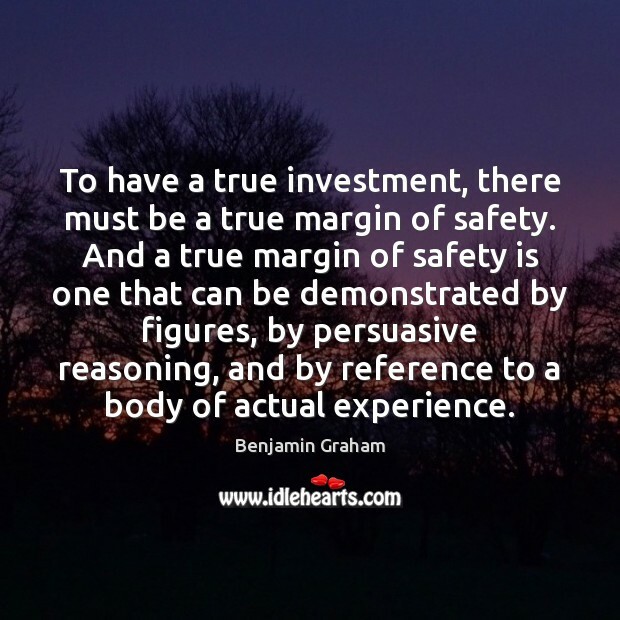 To have a true investment, there must be a true margin of safety. And a true margin of safety is one that can be demonstrated by figures, by persuasive reasoning, and by reference to a body of actual experience. Pure suffering has a consciousness, a tongue, a heart all its own and even the memory of it is but a pale unreality when compared with the actual experience. 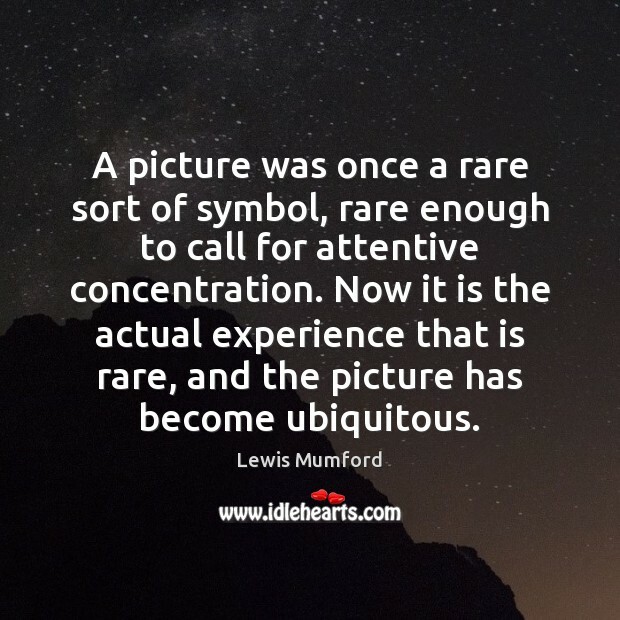 A picture was once a rare sort of symbol, rare enough to call for attentive concentration. Now it is the actual experience that is rare, and the picture has become ubiquitous. It is ironic but true: the one reality science cannot reduce is the only reality we will ever know. This is why we need art. 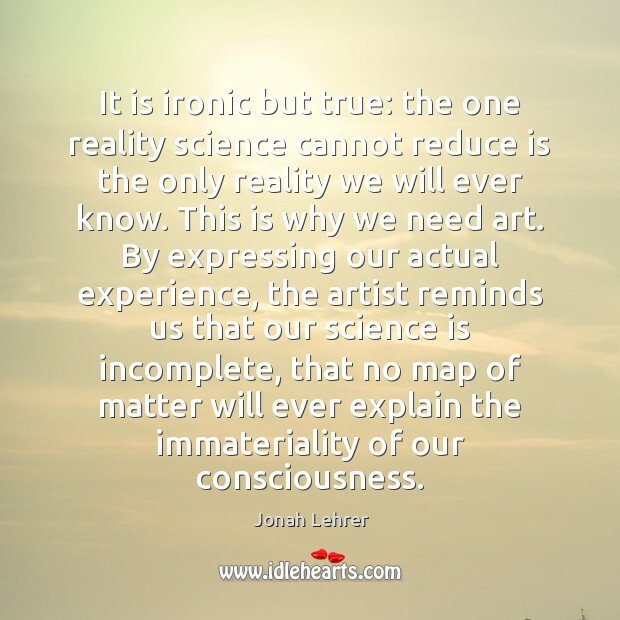 By expressing our actual experience, the artist reminds us that our science is incomplete, that no map of matter will ever explain the immateriality of our consciousness. 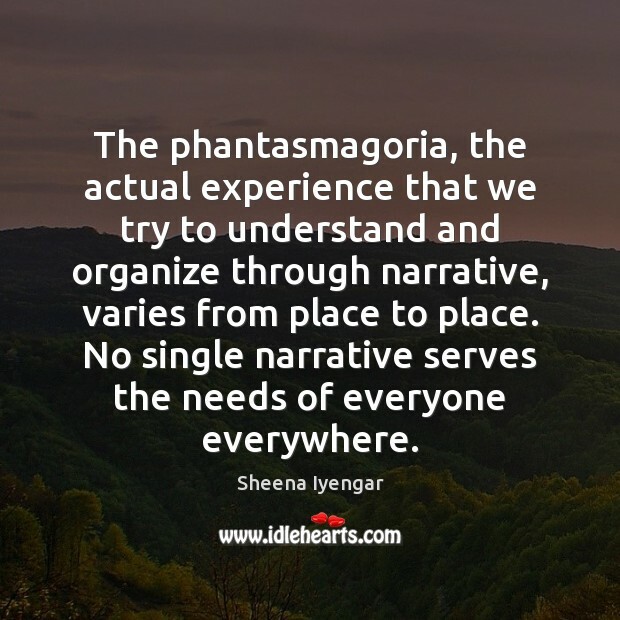 The phantasmagoria, the actual experience that we try to understand and organize through narrative, varies from place to place. No single narrative serves the needs of everyone everywhere. 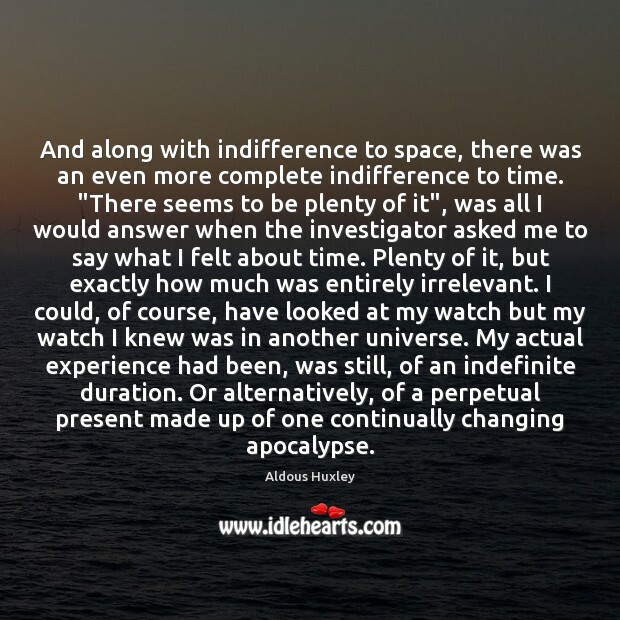 And along with indifference to space, there was an even more complete indifference to time. "There seems to be plenty of it", was all I would answer when the investigator asked me to say what I felt about time. Plenty of it, but exactly how much was entirely irrelevant. I could, of course, have looked at my watch but my watch I knew was in another universe. My actual experience had been, was still, of an indefinite duration. Or alternatively, of a perpetual present made up of one continually changing apocalypse. 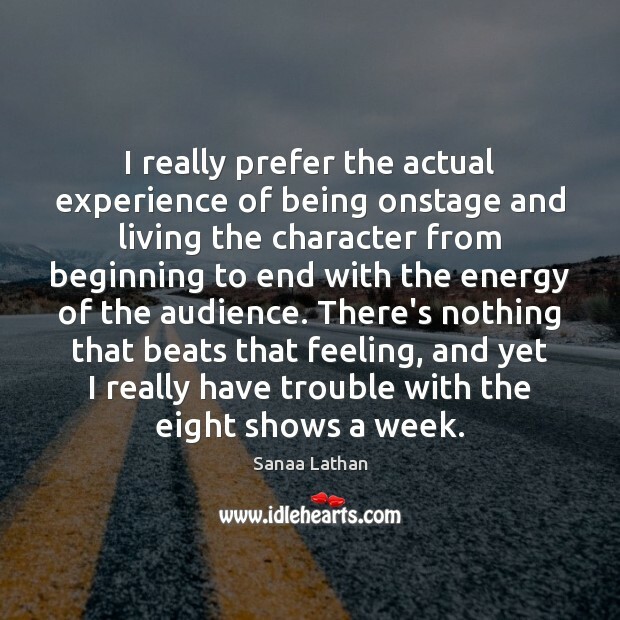 I really prefer the actual experience of being onstage and living the character from beginning to end with the energy of the audience. There's nothing that beats that feeling, and yet I really have trouble with the eight shows a week. Learn by doing. 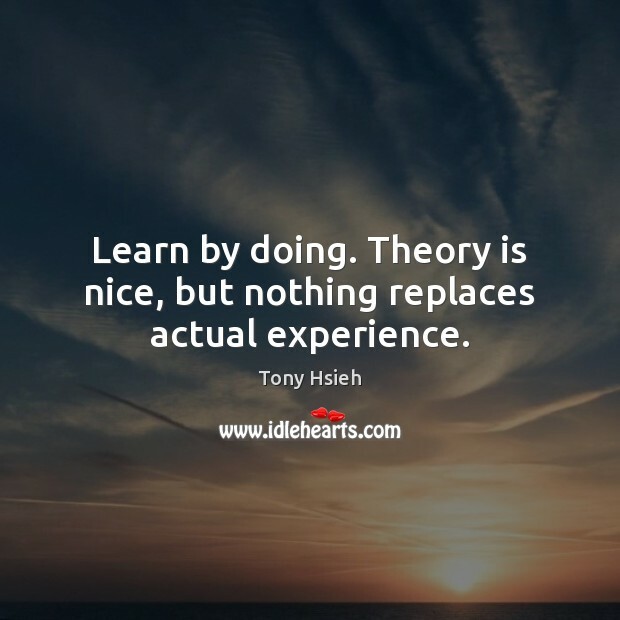 Theory is nice, but nothing replaces actual experience. The seventeenth century witnessed the birth of modern science as we know it today. 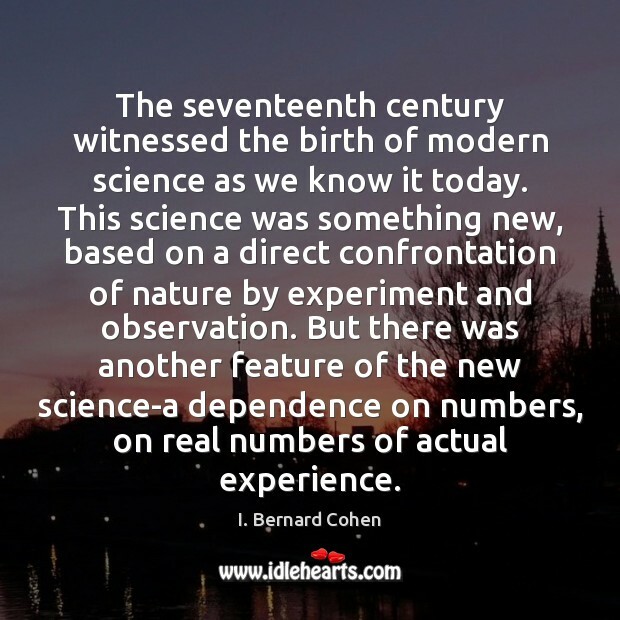 This science was something new, based on a direct confrontation of nature by experiment and observation. But there was another feature of the new science-a dependence on numbers, on real numbers of actual experience. 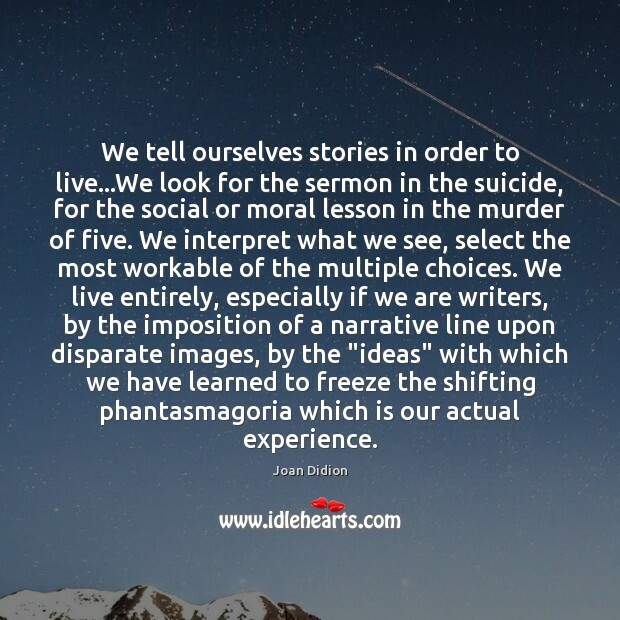 We tell ourselves stories in order to live...We look for the sermon in the suicide, for the social or moral lesson in the murder of five. We interpret what we see, select the most workable of the multiple choices. We live entirely, especially if we are writers, by the imposition of a narrative line upon disparate images, by the "ideas" with which we have learned to freeze the shifting phantasmagoria which is our actual experience. Sure, I suffered a lot. But it's not like the end of the world and it's not who I am. 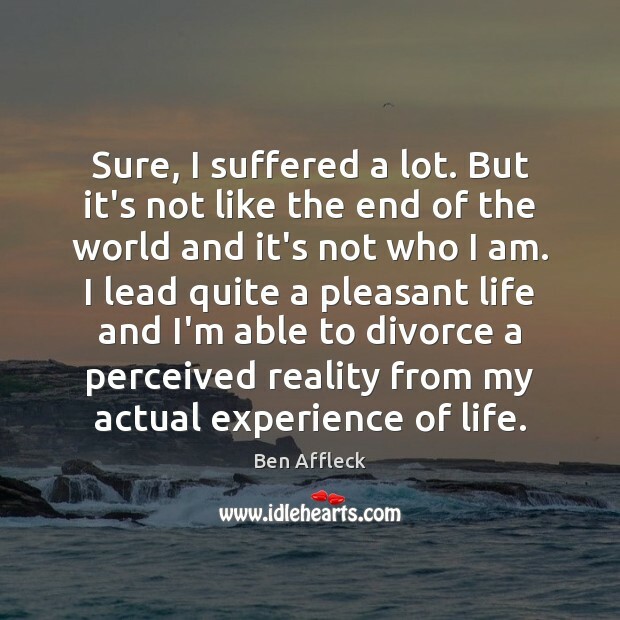 I lead quite a pleasant life and I'm able to divorce a perceived reality from my actual experience of life. 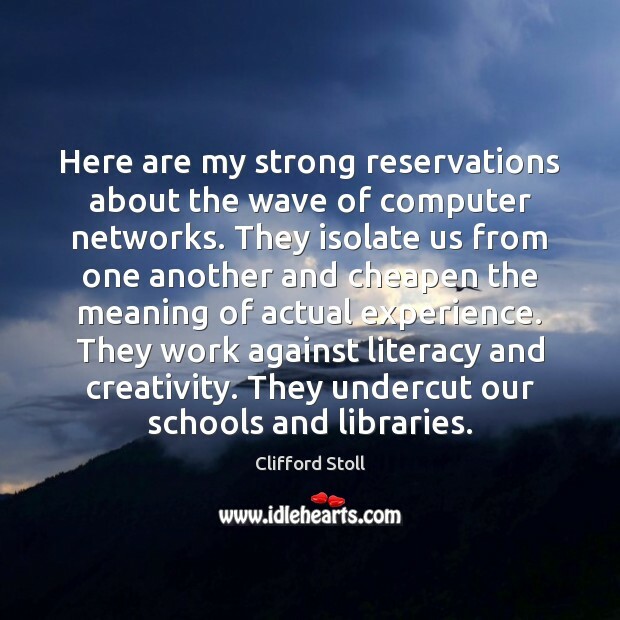 Here are my strong reservations about the wave of computer networks. They isolate us from one another and cheapen the meaning of actual experience. They work against literacy and creativity. They undercut our schools and libraries.